I find this amazing! My brother-in-law Jason sent me a link to this picture by Chris Harrison. It has the books of the Bible on the bottom and an arc is drawn from one book to another. 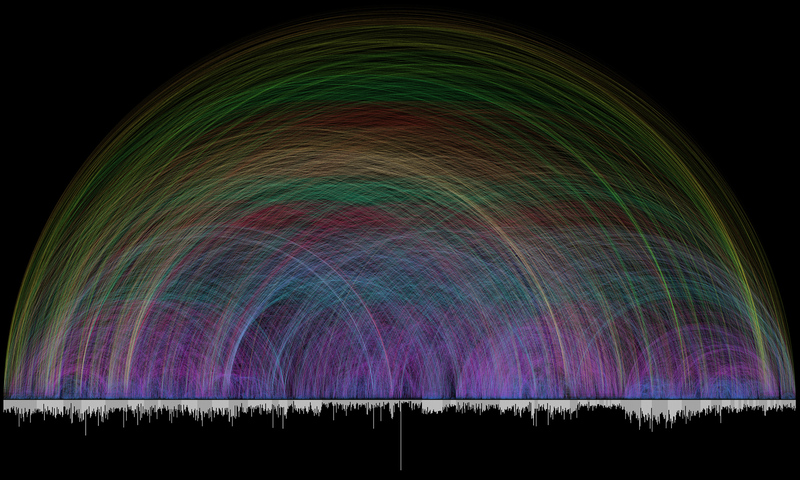 The arcs represent every time a verse is referenced in another book. I am going to contact him to see what a poster sized print would be. Enjoy! I know! He sent this to me, too, and I was blown away. Yeah, it’s “just a book of man’s opinions devoid of God’s inspiration.” Gives the DaVinci Code a run for it’s money, n’est pas? Accept this one’s not fiction. That is amazing. Thanks for sharing.